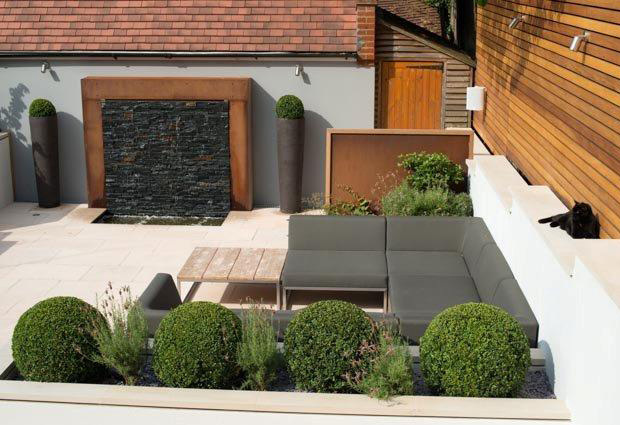 This contemporary garden design Putney SW15 has a functional layout offering 2 specific areas for dinning and lounging. 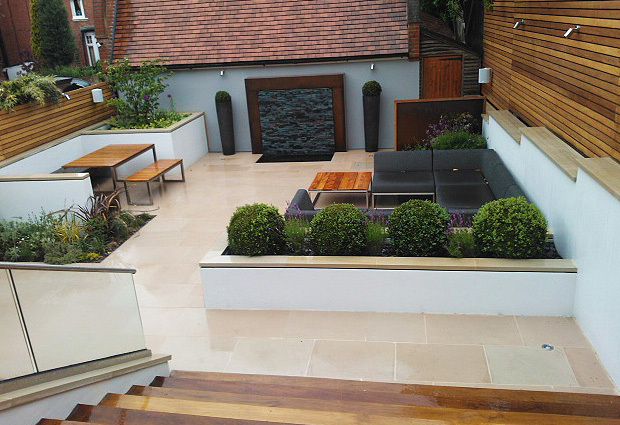 The patio area of light sawn sandstone maximise light and sense of space creating a relaxed easy atmosphere. 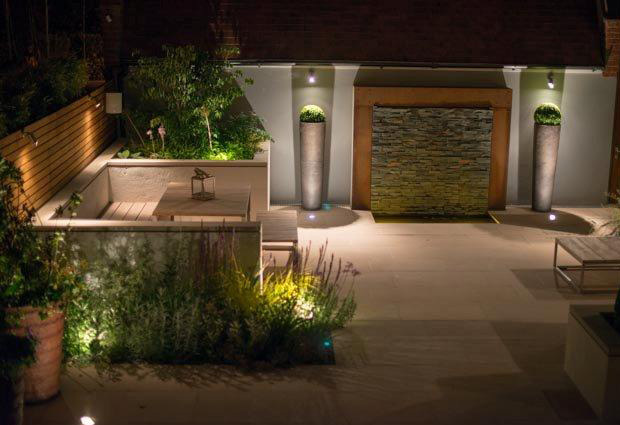 Garden design in London needs to be creative and functional with good use of space and for this garden design in Putney SW15 function and use of space are key factors .Its large enough and of good proportion to have bespoke designated areas of use . 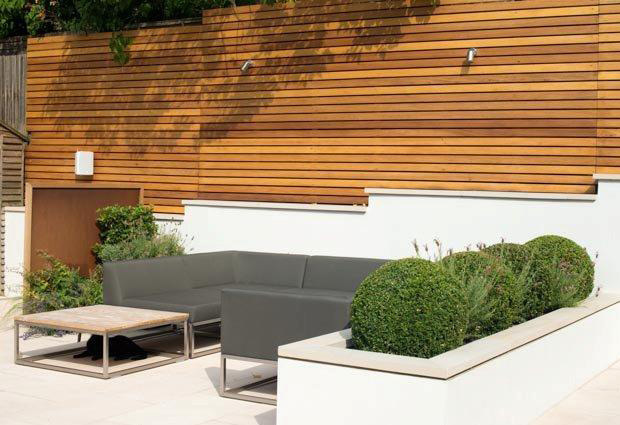 The dinning area has built in fixed hard wood seating on one side and stools for the other giving flexibility of numbers . 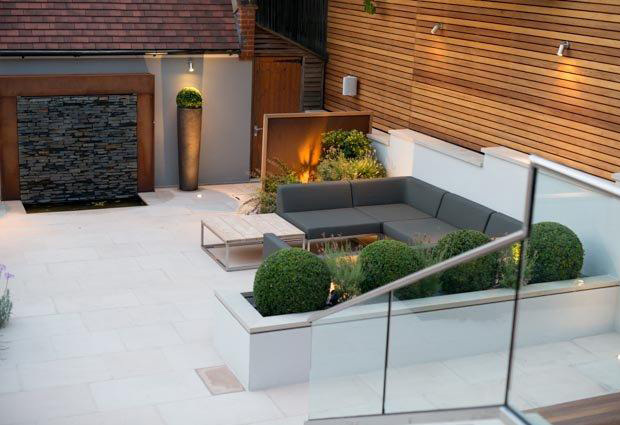 The lounging area has a different non fixed approach using modular designer furniture that can be moved around giving flexibility. 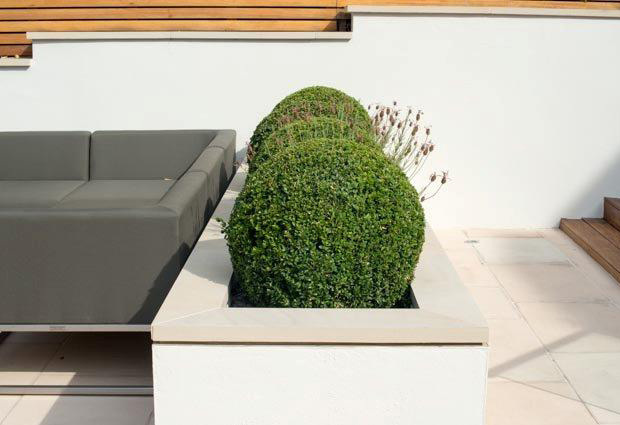 For this Garden Design in Putney SW15 we wanted to create the feeling that you were entering into a special place so created the generous hardwood steps with stainless steel and glass balustrade.The rendered raised beds compartmentalise the space creating interest and shape, allowing the architectural Buxus to break down the space and form . 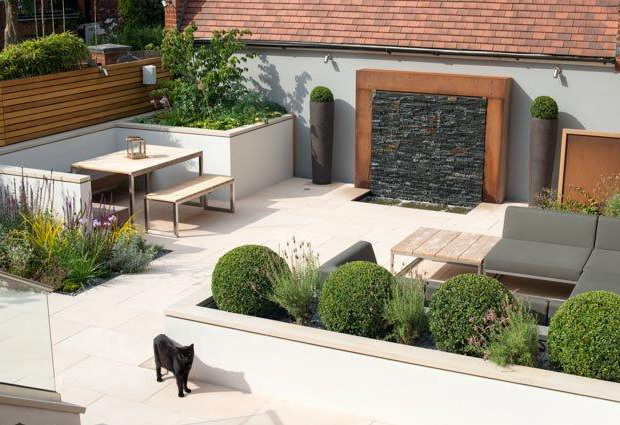 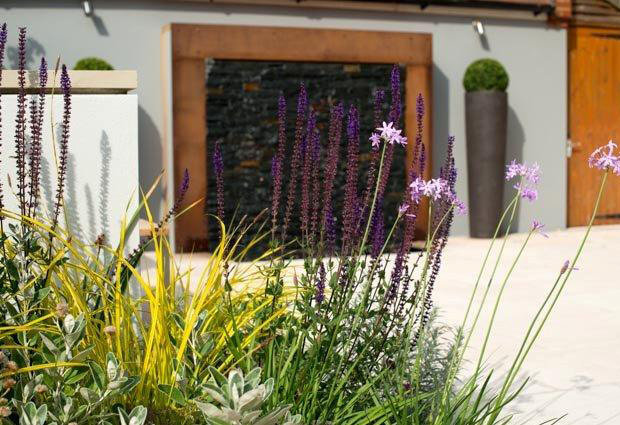 The main focal point is the bespoke designed and built water wall, water feature using slate and Cortren Steel surround. 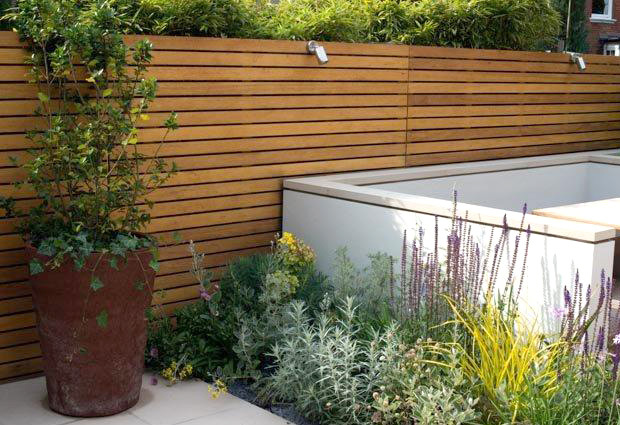 The garden edged with beautiful Iroko hardwood fencing .